January was an interesting month. There was a lot of reading, a lot of work and a lot of movies and TV watching. So, all in all, I didn't do much but at exactly the same time I did exactly everything I wanted to do to wind down after the busy christmas season. I read a lot for the first few days of January and spent a lot of my time writing for the blog. I slept a LOT this month and yet I'm perpetually tired. For most of January I found myself being convinced that I was getting ill and a lot less of the time actually being ill.
One of my friends turned 18 in January so of course I went to her party and I may or may not have consumed a little too much alcohol. The Raven Boys: I loved this book. The Raven Boys made me laugh, had me texting all of my friends showing them lines that I found hilarious and then it ripped my heart out and left me feeling like an empty shell of a human being. Full review here. 5/5 Stars. The Fame Game: This one was an easy read. Lauren Conrad's writing is very fluid and the plot of the book wasn't complicated at all however I didn't enjoy this book as much as I was hoping to. 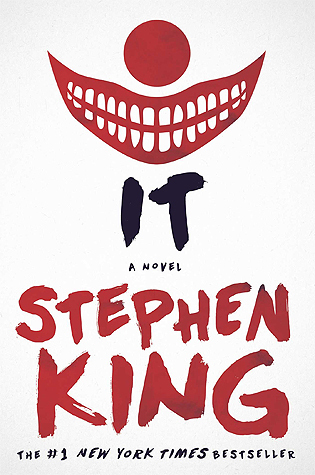 Nothing seemed to happen and the plot was very flat until the last few chapters of the book. I don't think I'll be continuing on with the series. 2/5 Stars. To All The Boys I've Loved Before: Oh my god. I knew that I'd love this book but I didn't realise that it would end up being the type of book I'd actually dread finishing. I have a review on my blog where I explain how much I loved the book and all of the reasons why. 5/5 Stars. A Monster Calls: I had such a great difficulty reviewing this book the first time around that I couldn't possibly try it again a second. Check out my full review here if you want to see my thoughts. 5/5 Stars. 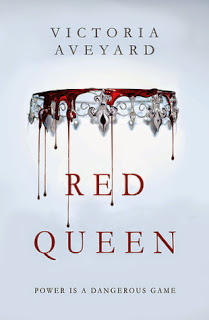 Red Queen: Although this one was a bit slow on the uptake the entirely of the book was written so beautifully and the story was so intense that I found myself not being able to put the book down in parts. The characters were great and the twist at the end had me questioning everything for my few days 'who can I trust?'. Full review here. 5/5 Stars. Dead Beautiful: The first time I read this book I didn't like it at all but in January I decided to give it a second shot and I ended up loving it. It was a fast paced paranormal story with spooky happenings and a hot-brooding-teenage boy. What more can you ask for? 4/5 Stars. Mending Michael: The characters were cool and the storyline broke my heart. I really liked this book. Full review here. 4/5 Stars. Everything Leads To You: I won this book in a giveaway for a diversity reading challenge that I'm taking part in and I couldn't be happier that I did. 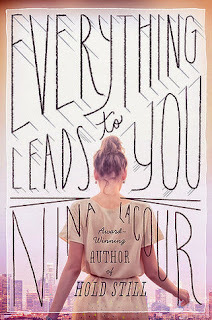 Everything Leads To You is a beautiful contemporary about a girl who works in set design in Los Angeles and then falls upon a mystery when she finds a letter in a famous actors estate sale. The book has a glamorous feel to it and the descriptions throughout the entire book made me want to fall in love, fall out of love and then fall back in love all over again. 5/5 Stars. I've fallen in love with Two Door Cinema Club this month and I've been listening to a lot of George Ezra, HAIM, The 1975 and All Time Low. Of course Fall Out Boy is on that list. OF COURSE. I'm still in the middle of watching Gossip Girl. I'm on season 5 now and I'm almost finished but it's taking me a while. I started re-watching F.R.I.E.N.D.S. and I've continued on with Pretty Little Liars which is pretty much just a filler now. The show has been going on for too long and I'm not sure how many more tired story lines they can air before everyone starts to get bored. I've watched a lot of movies this month. Me and my mum have grown to like sitting down together and finding some DVDs that we can watch together while we eat dinner or wind down for the day some of them are: Star Trek: Into Darkness which I loved all over again, The Avengers, Wanderlust, We're The Millers, Red Dawn, The Heat, Never Been Kissed, 10 Things I Hate About You, The Silence of the Lambs, Seven, Two Weeks Notice and Grown Ups 2. I went to the cinema three times in January to watch some movies. Into The Woods was such a funny film and I love musicals so it was right up my alley. The Theory of Everything made me laugh and cry and it was a really inspiring, beautiful movie. BIG HERO 6 WAS INCREDIBLE. I cried three times and when Fall Out Boy played I sang along like nobodies business. If you're hesitant about seeing the movie or if you want to but can't find time..FIND THE TIME. 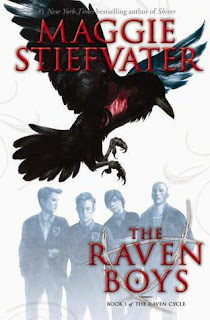 On the 2nd day of January I reviewed The Raven Boys by Maggie Stiefvater and I wrapped up everything that happened in December into one tiny huge post. I read A Monster Calls by Patrick Ness and tried to shape my thoughts into coherent words. I rounded together some of my favourite songs and I put them into a playlist for one of my favourite book series 'The Mortal Instruments'. I reviewed two books - one that made me squeal and laugh and fangirl and another that was a little more intense. I realised that I own a lot of e-books for someone who a) doesn't have an actual e-reader and b) doesn't count them as real books. And then there was Red Queen. Most popular post of the month (Comments): To All The Boys I've Loved Before by Jenny Han in which I scream and fangirl and tear apart everything about the book because I loved it so damn much. If I could read it everyday then I probably would, but I won't because there are other books to read. 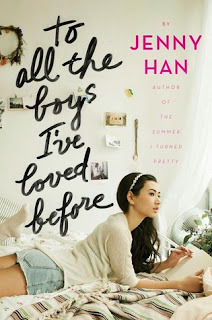 Most popular post of the month (Reads): To All The Boys I've Loved Before by Jenny Han with my discussion about e-books coming in a close second.